James Willard Bradley, 87, of Rineyville, was surrounded by family when he peacefully went to be with his Lord on April 12, 2019 in Rineyville, Kentucky. Willard was born in Iberia, Kentucky to Roy and Elsie Clemons Bradley on December 10, 1931. He was a retiree of American Standard and a lifelong farmer. He enjoyed spending time with his family and friends, farming, an occasional drink and a good sense of humor. Willard is preceded in death by his parents, Roy and Elsie; three brothers Regie, Hilmon and Raymond Bradley; and four sisters Margarete Reed, Teresa Gilpin, Mary Lou Bradley and Clara Blackwood. 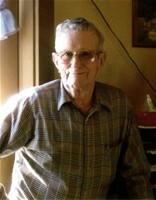 Willard is survived by his wife of 62 years Linda Bradley; two sons Fred (Nola) Bradley and Jeff Bradley; three daughters Debbie (Tim) Thomas, Cindy (Kenny) French and Leslie (Ronnie) Thomas; eight grandchildren Stephen Humphrey, Amanda (Nicholas) Watts, Kimberly (Corey) Yates, Jennifer (Andy) Bishoff, Danielle Bradley, Neil (Lucy) Payne, Melissa (Nathan) Canavera, Caitlin (John) Soper, Leanna (Joe Mike) Kelty, Hillary (Adam) Henderson and Samuel Bradley; eighteen great-grandchildren; two brothers Hershel Bradley and Tony Bradley; two sisters Millie Ann Higdon and Oldean Hill. Visitation will be held at Brown Funeral Home in Elizabethtown on April 15, 2019 from 4:00p 8:00p. Funeral service will be held at St. James Catholic Church on April 16, 2019 at 11:00am. Burial will follow at St. James Cemetery. Condolences may be expressed online at www.brownfuneral.com.